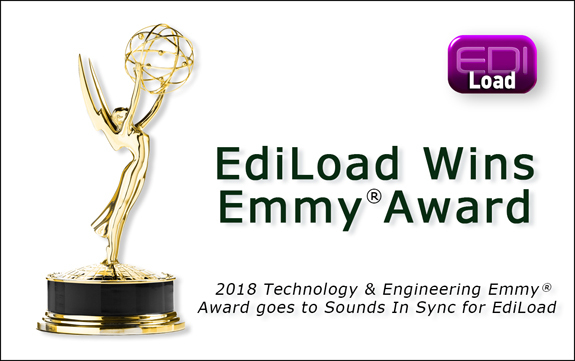 Sounds In Sync has been instrumental in providing sound editors and designers from around the world access to professional, time-saving sound editing applications since we launched our first product, EdiTrace, in 2003. We now produce a range of products under the Edi banner, including EdiCue, EdiPrompt, EdiLoad, EdiChart and EdiMarker. As an Avid third-party developer, Sounds In Sync is committed to creating intuitive, user-friendly tools that directly assist sound designers and editors to fulfill ever-increasing production demands. Our software and workflow solutions are purpose- designed to meet the specific needs and requirements of sound designers and editors worldwide – whether freelancers or based at major film post production facilities. We have also been working with Merging Technologies since 2004 to provide a re-conform solution within Pyramix. Sounds In Sync's lead developer, award-winning sound editor Mark Franken, has consistently worked at the forefront of sound post production on a wide variety of projects from around the world. His hands-on experience in today’s exciting sound industry allows him to see where his colleagues need help - and provides him with the knowledge and impetus to create and develop the software to help them. Mark Franken continues to work in the sound post industry. As well as being part of the Academy Award-winning sound team on "The Lord of The Rings - The Twin Towers", he was more recently the recipient of the 2010 Golden Reel Award for ADR editing on the sci-fi thriller, "District 9". He has also won numerous Australian-based industry and trade awards, including the 2003 Inside Film (IF) Award for Best Sound for the Australian film, "Gettin' Square" and he was an integral member of the team that won the 2004 Australian Film Institute (AFI) Award for Best Sound on the film "Somersault", the AFI Awards' Best Film that same year. All site content copyright © 2003 - 2019 Sounds In Sync Pty Ltd. All rights reserved.